The PCA Stadium, Mohali will host the 32nd game of the season. Kings XI Punjab will take on Rajasthan Royals on April 16. Keep reading to find out the IPL 2019 Match 32 KXIP vs RR Match Prediction. These two teams had started their campaign in IPL 2019 against each other. Their previous clash in Jaipur was won by KXIP by 14 runs. The infamous Mankad incident had come in that game when Ravichandran Ashwin ran out Jos Buttler that changed the course of the game. KXIP comes into this game after 2 consecutive losses against Mumbai Indians and Royal Challengers Bangalore. RR, on the other hand, defeated Mumbai and won just the second game of the season. As the league reaches the halfway stage, each game becomes important. 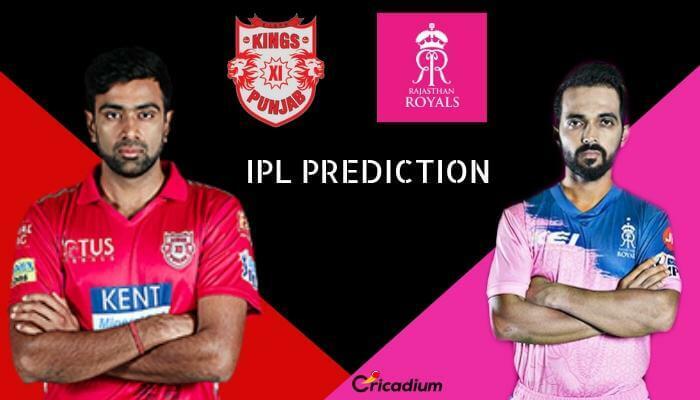 IPL 2019 KXIP vs RR Match Prediction: KXIP has won 4 out of 5 games at home this season. Whereas RR has won just one game from 3 overseas assignments. The hosts have odds in their favor to emerge victorious.